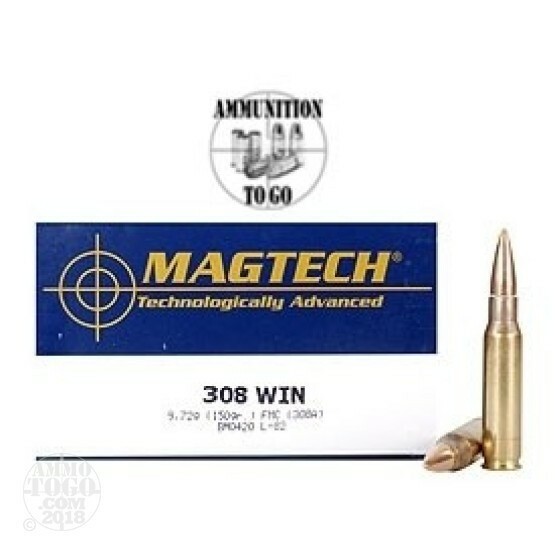 This is 308 Magtech 150gr. Full Metal Jacket Ammo. This ammo is brass cased, boxer primed and 100% non-corrosive. This is some great plinking ammo. It is accurate and clean. This ammo is packed in 50rd. boxes.